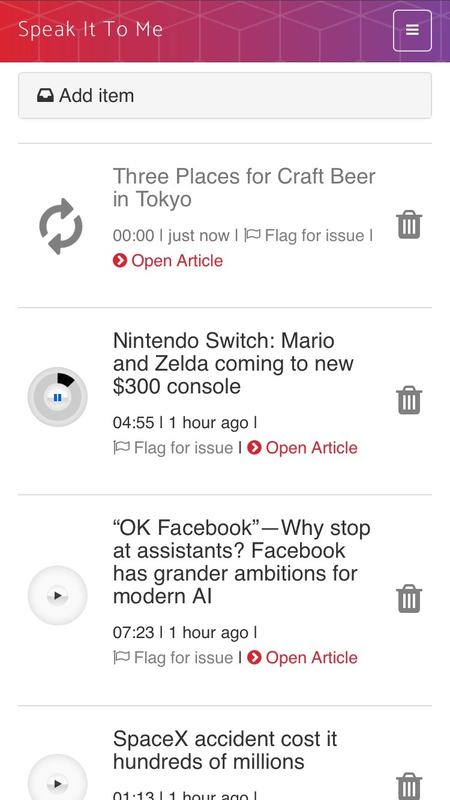 Speak It To Me is an easy way to turn articles into audio and podcasts, on the go, with no app required! Submit via bookmark or social media, listen via podcast or the web! Support for multiple open source text-to-speech voices available! Get a custom podcast feed for downloading into your favorite applications! We play nice with Twitter and Mastodon. 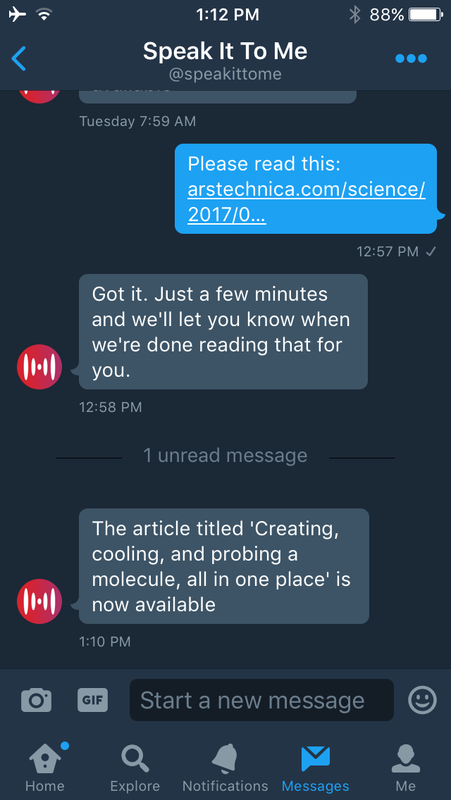 Submit articles via direct messages from either service. Desktop, iPhone, Android you name it, we support it! Looks good on any device.